Based on the I.D. BUZZ concept that debuted this year, Volkswagen is finally putting a retro Microbus into production. At the Detroit Auto Show in January, Volkswagen showed off the I.D. 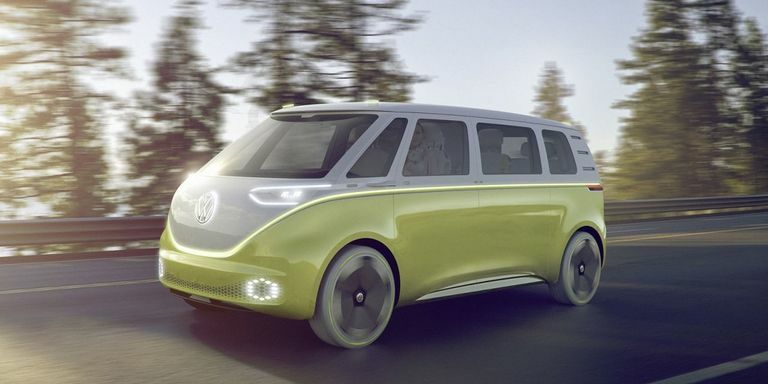 Buzz concept, an all-electric tribute to the iconic Microbus of the 1960s. This was the latest in a long line of concepts recalling the Type 2, but this could very well be one that the company will actually build. Speaking to Auto Express, VW brand chief Herbert Diess said the company has decided to put the I.D. Buzz into production. "Emotional cars are very important for the brand," Diess told Auto Express at the launch of the new VW Polo. "We are selling loads of Beetles still, particularly in US markets. But we will also have the Microbus that we showed, which we have recently decided we will build." Earlier this year, we reported that Diess was championing the I.D. Buzz heavily within VW, and aimed to have it in production by 2022. Diess didn't offer any more detail to Auto Express, so it's unclear when exactly we'll see the I.D. Buzz hit the market. The I.D. Buzz rides on VW's new Modular Electric Drive (MEB) platform, which will underpin a host of upcoming all-electric cars from the German brand. The first car to ride on this platform, the Golf-sized I.D. hatchback, is expected to reach production in 2020. The MEB platform is ideal for creating a modern version of the original Type 2. In this platform, the batteries and electric motors are installed in the floor, freeing up lots of space for passengers and cargo. Keeping all the drivetrain components in the floor will also help the I.D. Buzz meet modern crash safety standards without the need to abandon its iconic flat face. In concept form, the I.D. Buzz promised 369 hp from electric motors at the front and rear axle—like an all-wheel drive Tesla—and 270-miles of electric range. The concept was also fully self-driving, but who knows if those capabilities will be ready for production in 2022. 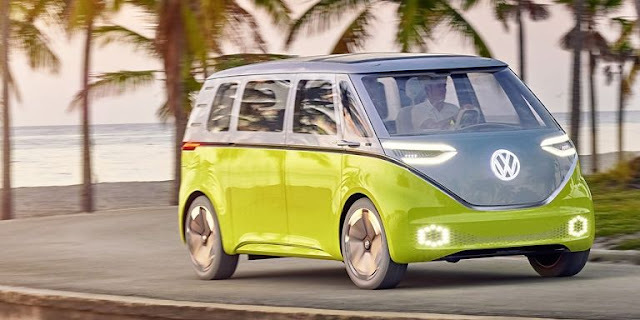 The return of the Microbus has been a long time coming, and fans of the original are no doubt excited by the possibility of a new model. It's also a smart call from VW, which needs some way to change its image following its diesel-emissions scandal. Construct a tower for the ambitious King Harold!